Tasted blind at the Burgundy 2011 horizontal tasting in Beaune. There is a touch of reduction on the nose of Dominique Lafon’s Volnay 1er Cru Champans 2011, although underneath is some crisp red cherry and strawberry scents that are desperate to come out. The palate is medium-bodied with fleshy ripe red cherries, strawberry and citrus fruit. This is nicely balanced with a composed finish that lingers nicely in the mouth without becoming overbearing, though it seems to lose a little tenacity with time in the glass. Still, this is a nicely crafted, understated drop. The Wine Advocate - Tasted blind at the Burgundy 2011 horizontal tasting in Beaune. There is a touch of reduction on the nose of Dominique Lafons Volnay 1er Cru Champans 2011, although underneath is some crisp red cherry and strawberry scents that are desperate to come out. The palate is medium-bodied with fleshy ripe red cherries, strawberry and citrus fruit. This is nicely balanced with a composed finish that lingers nicely in the mouth without becoming overbearing, though it seems to lose a little tenacity with time in the glass. Still, this is a nicely crafted, understated drop. Domaine des Comtes Lafon has the deepest and coldest cellars in Burgundy and they nurture some of the greatest dry white wines of Burgundy. Dominique Lafon is the leading producer in Meursault, producing wines of astonishing depth and complexity, yet supremely balanced as well. The domaine dates back to the building of the house and cellar at Clos de la Barre by the Boch family in 1869. However the real creator of the estate was Comte Jules Lafon who married Mademoiselle Marie Boch on St Vincent’s day 1894, and was shrewd enough to purchase exceptionally well sited plots in the best vineyards of Meursault and Volnay, as well as a treasured piece of Le Montrachet acquired in 1919. 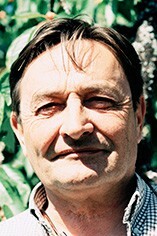 Dominique Lafon has been in charge since 1985, taking over a domaine which already had a reputation for outstanding, if irregular whites, and potentially good reds. When Lafon took over the domaine, most of his vineyards were leased out on a share-cropping basis. It was only towards the end of the 80s that he managed to reclaim all the vineyards and thus have full responsibility for them.The white wines are now consistently among the best in Burgundy while since 1989 the reds have reached the top division. Not only are the Lafons' holdings in the best vineyards of Meursault and Volnay, but they are mostly very well situated within the vineyards. The domaine is now cultivated according to biodynamic principles with no use of herbicides or chemical sprays. All the wines are barrel-fermented, using new oak for the 1er Crus upwards. There is only one racking after the malolactic and the wines are bottled nearly two years after the vintage, one of the latest bottlings in Burgundy. This is the very pinnacle of White Burgundy with superlative fruit, power, complexity and total harmony being the wines' hallmarks. 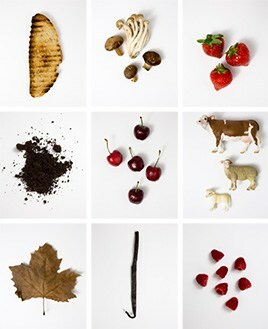 The reds (incl. those from Volnay, Monthélie) are first class as well. In September 1999 the Lafons bought a domaine in the Maconnais at Milly Lamartine, sold under the label of Les Héritiers du Comte Lafon. Further vineyards have been bought subsequently, and from 2009 there is a contract in place to farm the vineyards of the Chateau de Viré. Dominique has also established a small label of his own, the wines being made in Beaune. The red grapes are 100% destemmed and put in stainless steel tank with a cooling and heating system. Temperature reduced to 14° for a three to five day pre-fermentation maceration. The vats are typically punched down twice a day during fermentation. Post-fermentation maceration depends on the tannins, while sometimes the juice is pressed and run off into barrel to finish fermenting there. 30% new oak is used. Maturation takes place over 18 months with two rackings before bottling without fining or filtration if possible. 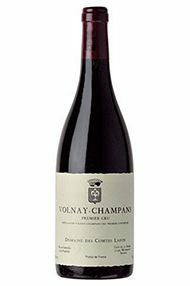 The finest and most elegant red wines of the Côte de Beaune are grown in Volnay, a village which might be twinned with Chambolle- Musigny in the Côte de Nuits, for the high active chalk content in the soil and comparatively low clay content. Whereas in earlier times Volnay was made in a particularly light, early drinking style, these days there are many producers making wines which age extremely well. The best vineyards run either side of the RN73 trunk road. 115 hectares of Premier Cru vineyards (35 in all). The finest include Les Taillepieds, Clos des Chênes, Champans, Caillerets (including Clos des 60 Ouvrées) and Santenots in Meursault.